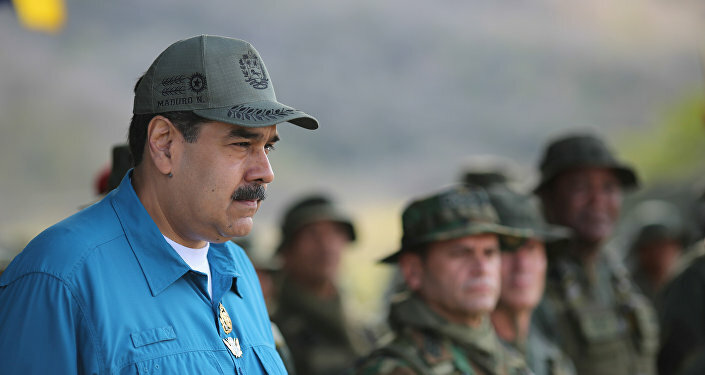 In a recent interview with CBS, US President Donald Trump stated he considered a military intervention in Venezuela to overthrow the government of democratically elected President Nicolas Maduro as an "option". Caracas has slammed the US president for such a suggestion and vowed to protect the country's "territory and values". Former Secretary of State and presidential candidate Hillary Clinton expressed hope for "a peaceful transition of power" in Venezuela, noting that today there are more chances for such an outcome. She also hoped for "Maduro and his close associates" to seek exile, preventing the need for a military intervention in the country. She noted though that it will take "delicate diplomacy" to achieve such an outcome and praised a recent Lima Group meeting in Canada, whose participants called on Venezuelan President Nicolas Maduro to resign and recognised the self-proclaimed interim President Juan Guaido. Not all netizens were impressed by Clinton's optimism about a "peaceful resolution" to the situation in Venezuela. One of them suggested that Maduro should recognise Hillary Clinton, who lost her presidential campaign in 2016, as the legitimate US president "just for fun" of watching what would happen next. I feel that Venezuela's Maduro should recognize Hillary Clinton as the legitimate president of America.